What chip are you using in it? From one of the picture links posted above apparently it uses a Cirrus Logic CS42L51 Low-Power Stereo Codec with Headphone Amplifier. Interesting. Black and Silver colors. Looks a bit boxy and appears to be larger than a Sansa Clip. And no apparent internal memory with support up to 256GB microSD card. About the size of a Sansa Fuze+, maybe. Uh, if it has no internal memory, where do we put Rockbox? "Please note: The player DO NOT has internal memory. Before using this player, please prepare a Micro SD card with music files at first." Rockbox does not require internal storage, per se. As long as a bootloader can (somehow) be flashed, it should be able to boot Rockbox from whatever media is present. Of course we're all just speculating at the moment on the Rocker with the scant information currently available. The no on-board memory for music/file storage is an interesting design choice. My assumption is they did so as a cost savings measure. 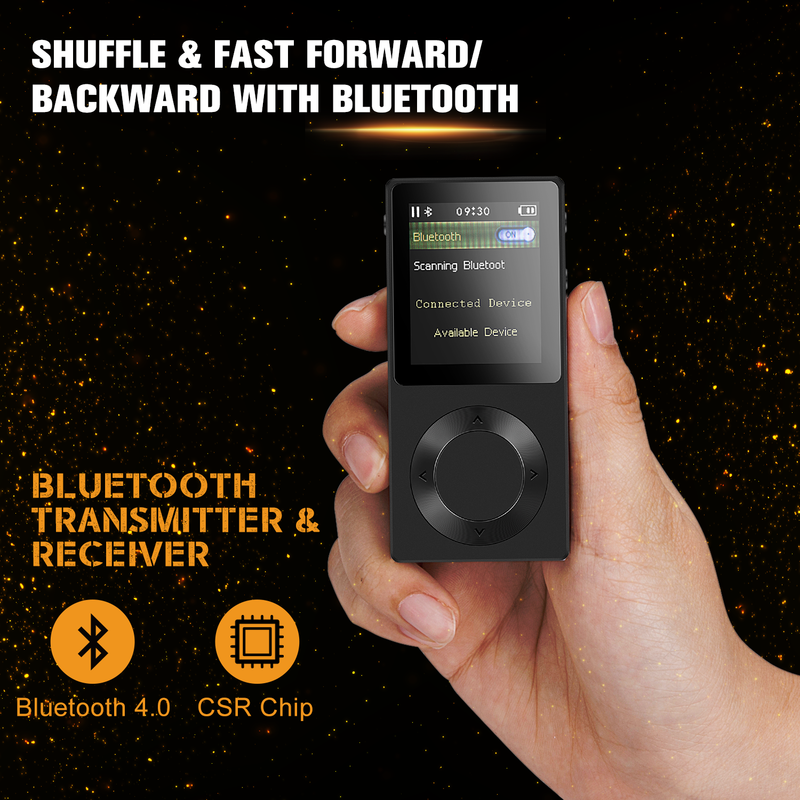 In any event until there is more specifications and other details we won't know for certain if Rockbox will be run on this device or if it can even be ported to the device. I hope it can run Rockbox but won't be all that surprised if AGPTek makes the design decision to lock down the boot loader or otherwise prevent Rockbox from running on the device..
Nice find! They are probably just waiting on shipping to the states or just enough stock for a big launch. that Amazon.jp link mentions bluetooth. Does this mean it uses bluetooth phones INSTEAD of a conventional phone jack? the pictures don't show anything like a phone jack. No there's just an added feature. btw. I love the design. Happy Chinese New Year, guys! I were on a trip in US and finally recovered from the new year holidays! The AGPTEK rocker released on Amazon US and Japan already, and will be available on Amazon Europe soon! The very first version was reloaded the OS we developed, which maybe has some unfounded bugs. Welcome any comment here! Page created in 0.125 seconds with 65 queries.